Hello Xiaomi smartphone lovers. Today I am going to write a review on Xiaomi Redmi Note 4 (Snapdragon 625) after using it for one month. You all know that xiaomi is holding the 3rd place in smartphone marketplace in current time. And now the most popular and handy device of Xiaomi is the Redmi Note 4. Already in India, this model has crossed almost 1 Million sells. Hope, you can understand how popular this one is. I will give a clear concept of this device and also full specifications and price of it. Let’s take a look at an overview of the article. One of the most popular device due to its high performance. This smartphone has excellent outlook with three colours available: black, white and silver gold. Among this, the black one is trendy. Honestly, guys, I bought this one due to its great outlook. Has a fingerprint sensor that is an excellent feature. Let’s go through the full specifications. First I should write about the battery because this phone has a huge battery. It has Non-removable Li-Po 4100 mAh battery. This feature makes this phone more attracting to the Android user. Review about the battery life will come later in this article. It has power to pixels with CMOS sensor 13MP camera with amazing low light performance on the back side and 5-megapixel camera in the front. I think you have a question about the screen or camera resolution, Right? Ok, you can capture 1080p video with the front camera and 720p video with the front camera. This phone gives you a surprising ram, and that is 3GB. Hope, you can manage all your application now. Redmi Note 4 also has a 2 GB ram version in the market. 3GB RAM and Qualcomm Snapdragon 625 processor is a perfect combination for gaming performance. I write this xiaomi redmi note four reviews after use one month. Let’s take a look at my discussion. You already know that red note 4 has a big battery of 4100mAh. I bought this one, especially for powerful battery. And honestly speaking this phone satisfied my demand. You will have on screen two days battery backup, and it lasts one day after heavy use. It is tough to make the battery 0%. You can browse whole day on the Internet with this phone of xiaomi. This phone has the highest level of the battery in another phone of Xiaomi. 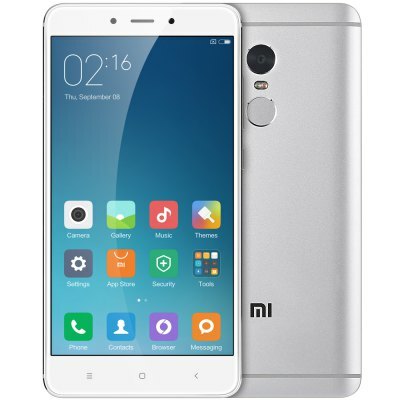 The Snapdragon 625 20% more power efficient than the xiaomi redmi note 3. I found the only drawback of this phone is the charging time of xiaomi redmi note 4. It takes more than 2 hours to make the battery 100%. Though it is a little bit unpleasant, you have to satisfied with it because the big battery requires some extra minutes than others to be 100%. Most of the smartphone at the current time has an overheating problem. And it becomes higher during internet browsing and calling over the phone. This is so unpleasant for the user. I found no overheating problem in Xiaomi redmi note four except during charging. It becomes a little bit warmer during chare time, but it will reduce gradually when the charge level reaches 70-80%. One of the reasons for this is that it’s metal body. I run several speedtests of Xiaomi Redmi Note 4. This phone shows excellent performance in the speed test. This phone is faster than some of the most popular brands. As the phone has 3GB ram your phone never be slow. This is one of the best features of it. In the past, we found many popular smartphones with hang issue. You can keep note 4 in the second place in this issue after iPhone. As we said before that note 4 has 13 megapixels back camera with the 5-megapixel front camera. I have found great experience using the camera in this phone. You can blur background like DSLR camera using this smartphone. The 13 megapixel back camera is better than other phones that have the same price as note 4. The front camera has face detection and age detection feature. It also has default beautifying features. So, you will get awesome selfie experience. Also, have a multi-photo capturing with just one touch. You can also use the fingerprint sensor to take a photo. Photographer those are fond of taking photos of small creature can use this phone instead of DSLR. Video recording performance is quite good. As I said before that you could record full HD video (1920*1080) resolution video. So, the user who has a youtube channel can use this phone to create your video instantly. Flash is also good. But low light performance is not quite good in Redmi Note 4. This opinion I got from lots of xiaomi user. But you can manage it for maximum photos except for some special work. I also attached some photos that are taken with Xiaomi Redmi Note 4 snapdragon version. Xiaomi Redmi Note 4 has a full metal body with three colours. Every corner of the body is little curved that makes it attractive. On the back side of the body, there is a camera and a fingerprint sensor. In the front side, there is navigation touch key in the bottom of the phone and front camera. A speaker and microphone are added to the bottom side. On the right side of the body, there is a power button and volume keys. You can control them easily. Its body dimension is 8.5 mm. Redmi Note 4 has added very high-quality protection. Already I said that it has a fingerprint sensor. You can use this feature to unlock your xiaomi phone. You can also lock your other apps and personal information with this fingerprint sensor. So, you can keep your necessary data with this phone easily. I use the fingerprint scanner to unlock my phone every time. So, you don’t need to use your power button to unlock your phone. Just put your finger in the fingerprint sensor, instantly your phone will be unlocked or awake. Though Redmi Note 4 doesn’t have Gorilla Glass protection. But you don’t need to be a worry. It’s 2.5D curved glass is so much protective. We run some burn and scratch test and performance of this phone was unbelievable. It survives 10 seconds in the burn test. We also run water test, and it survives 3 min under water. As the phone has a big battery, it has very long time for call performance. But that is not an issue. The main feature is the phone will not so much overheat after a long time talking. As we see, most of the phone become overheated during talking. So, I can say overall you can try this Xiaomi Redmi Note 4 Snapdragon Version. Here I decided to give a rating on this smartphone. Let’s check this out. So, we can say overall Xiaomi Redmi Note 4 is 87% good.